Lil's and Jay lived their very own fairytale biker romance. He was her first love, her only love. She was what he needed, what he wanted. Insecurities, fear and misconceptions lead Lil's to make a heartbreaking decision to abandon that life and love behind, before it consumes and destroys her as it did her mother years earlier. But.. moving on isn't so easy when you are deeply connected to your past. When Lil's finds herself in a whirlwind of danger her knight in shining armor, er..., her badass biker on a Harley bails her out. But at what cost? This novella is intended for those 18+ of age and contains strong language, sexual content, adult situations and a direct continuation of it's prequel 'A Lil' Less Lost'. Do fairytale's always have a happily ever after? Jay and Lil's had just found the love they once shared and foolishly lost. But, a horrific turn events threatens to end it forever. Jay must race against time to save his ol' lady Lil's and their baby before tragedy strikes. In this sequel we learn more about Jay, the deep love he has for his soulmate, and just how far he is willing to go to protect her. This novella is approx. 50,500 words and does not contain a cliffhanger ending like it's prequel. However, an epic love story like Lil's and Jay cannot possibly be wrapped up in two tidy little novella's... now can it? This novella is intended for those 18+ of age and contains strong language, sexual content, and adult situations. 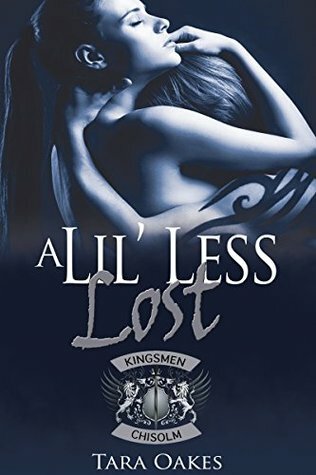 Jay and Lils' epic tale of true love has unfolded, first in 'A Lil' Less Broken', followed by 'A Lil' Less Lost', and now concludes in the third installment of Tara Oakes' thrilling Kingsmen MC saga. Jay has proven his loyalty over and over... that he is willing to do whatever necessary for his one true love, his Lil' one, Julia. She just so happens to have an uncanny ability to find herself in need of that loyalty time and again. What happens when the tables turn and it is Lil's who must risk it all to save her ol' man? To prove once and for all, to him, and to the MC they call family that she is no longer the little girl they've known. But instead, is a fierce ol' lady determined not to stand idly by as everything she has worked so hard to regain is threatened. The Kingsmen M.C's saga continues in this newest installment of Tara Oakes' tantalizing new series. In the first three novella's you've come to know and love the characters within the club. Jay and Lil's have had their epic love story play out over the pages of "A Lil' Less Broken", followed by "A Lil' Less Lost" and finally, "A Lil' Less Hopeless". While their fairytale is far from over, the next arc in the series concentrates on some of the other intriguing characters that have been woven throughout Jay and Lil's storyline. The question on everyone's mind is.... WHO IS CHARLIE? And what is she hiding? Planting herself deep within the club's inner circle, Charlie came to Chisolm with one goal in mind... to destroy the Kingsmen, M.C., no matter the personal cost. An unknown hatred fuels her mission to take them down. Pairing herself up with one of the club's bad boy's, the M.C. 's enforcer, Clink, seemed like just the ticket to get her in the door. Once inside the club she had been eyeing from afar, she comes to realizes things are very different from what she had imagined them to be. Villainizing the group as a whole for an injustice that was done to her many years earlier no longer seemed to fit with growing attachments and relationships she was forming. And then there's Clink. He may very well be the wild card thrown into the mix that derailed Charlie's plans from the get go. Originally, serving as nothing but a way in to the club, and a body to warm her sheets at night, Clink has thrown Charlie for a loop. Determined from an early age to never need a man, Charlie can't help but find herself drawn to him in a carnal and ethereal way. She's tried to fight it, to deny it, but it was in vain. He calls her sugar... but, she's anything but sweet. A chance twist of luck placed Charlie right in the middle of club politics, where she was able to help free the club's Vice President, Jay, from serving time for murder he did not commit, but willingly confessed to in Book 2. Her risk earned her the hard earned respect and admiration that is hard to come by in the world of the M.C. Now that she finally has a place of her own in life, a place where she belongs and is wanted... is she willing to give it up? Give Him up? Willing to let it all slip through her fingers? Find out in Book 4 of Tara Oakes' Kingsmen M.C. series, "Bitter Sweet Deception"
This novella is intended for those 18 years or older due to mature and sexual content. You've seen Charlie and Clink's romance blossom and grow. You've seen it implode when the secret of her true identity was revealed. To know where a couple is headed, you have to know where they've been. Take a look at what drove Charlie to do the things she did in the name of revenge, what had gotten her to that point. Find out what in her past made her into the person she became, and led to the choices she made. Clink thought he had finally found his rightful Ol 'lady. She was everything he could have dreamed. He let down the guarded wall he has so careful built over the years to let her in and take another chance on love. When her identity was revealed it shattered his world and made him regret ever letting her into it. She wouldn't be able to break his heart if he took it back. 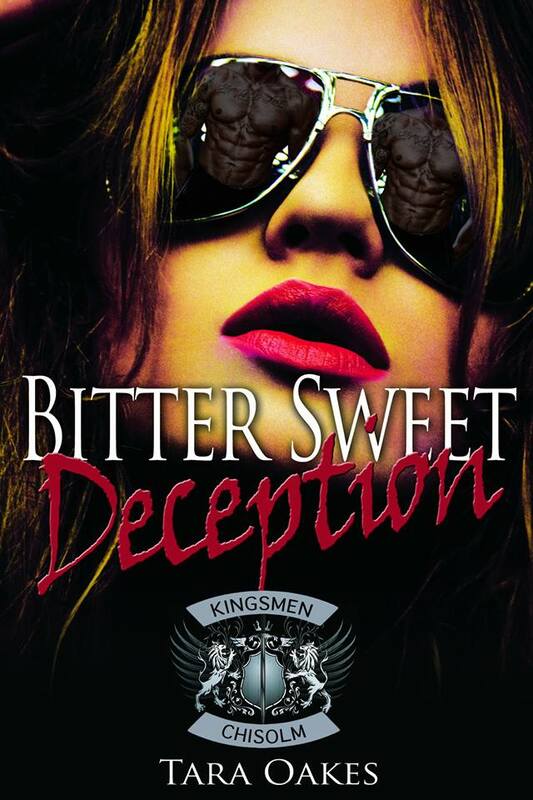 This is a short companion novelette to lay more background in to Clink and Charlie's life before the Kingsmen MC, book 4.5 to help you better understand this couple before we see their resolution in book 5, BITTER SWEET CRAVINGS, due Summer 2015. Tara Oaks is offering up an E-book copy of the first book in her newest series, My Soul to Wake, for one lucky winner! Simply comment below and tell me, have you read any of Tara's books? If so, which one was your favorite? If not, which one are you running over to Amazon to grab today?! I have not been lucky enough to read one of Tara's books but I sure would like to change that. I haven't read any of her books yet, but the covers are gorgeous. Hello, I am a newbie and I look forward to reading any of your books. This one looks like it is going to be great.